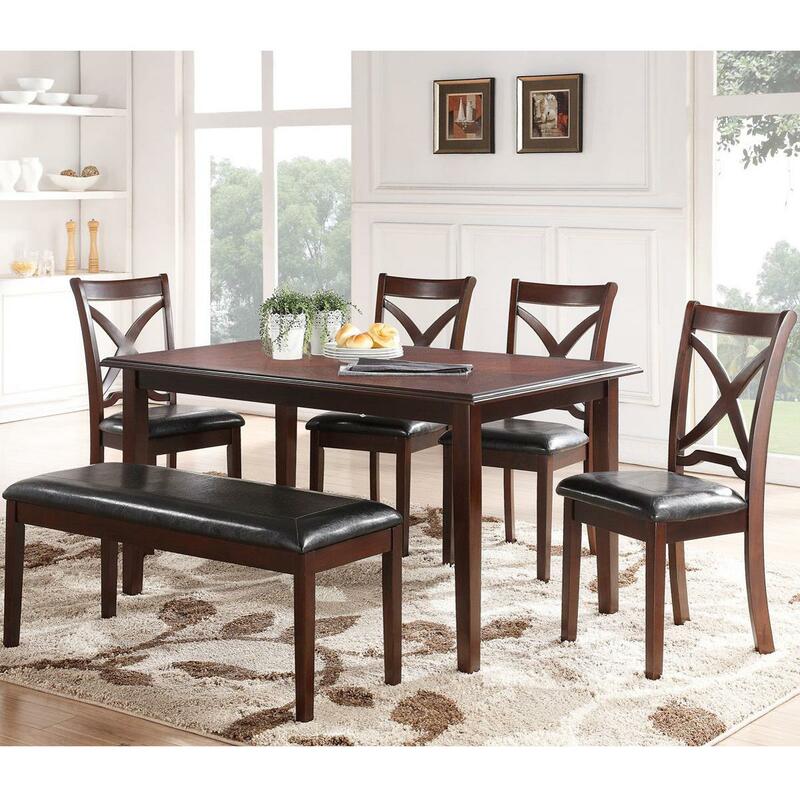 Transitional in style, this dining table and chair set is just the thing you have been searching for to transform your dining room into the stylish room you have always dreamed of. The X backs on the side chairs combine with the tapered legs of the chairs, table, and bench for a look you will love. Plush seat cushions and a rich Espresso finish complete the set for a look you will love. The Milo Dining Table and Chair set with a Bench and Tapered Feet by New Classic at Michael's Furniture Warehouse in the San Fernando & Los Angeles area. Product availability may vary. Contact us for the most current availability on this product.